Over at TBD.com/weather, John Metcalfe takes a look at the University of Arizona's new interactive model of sea level rise. What would current estimates of 2 meters of sea level rise by 2100 mean for the DC area? The Jefferson Memorial will not just be by the water, it may be underwater. The northeast part of Roosevelt Island will gain more marshland, as well as the bit of Rock Creek where it meets the Potomac, which should please the old-timers who hunt catfish there. It's hard to see the upside of Bolling Air Force Base becoming submerged, but the military has solid engineers – can't they build a bigger sea wall? And Old Navy's name will finally make a little sense as the creeping water moves inland over the Potomac Yard Shopping Center. I'm sure the chain's marketing whizzes can figure out something about shopping with gondolas. If those were the worst effects of runaway global warming, that would be expensive to deal with, but not necessarily devastating. However, scientific modeling has seriously UNDERestimated sea level rise to this point -- seas are rising faster than scientists have predicted & so far they're not sure why. And just a few minutes of tinkering with the University of Arizona's model reveals just how much is at stake for the DC area if scientists have even slightly lowballed sea level rise. The takeaway of all this -- especially for places like Hampton Roads where smaller degrees of sea level rise would be much more devastating -- is that so far, America is rolling the dice with the above scenarios. Congress has done nothing to address global warming, leaving our fate -- be it 2 meters, 3 meters or 6 meters of sea level rise -- to chance. Wouldn't it be better to gradually reduce our carbon pollution now & reduce our chances of a worst-case scenario? Isn't that the conservative thing to do? And the same solutions that protect our climate can also cut energy bills, strengthen our national security, and create millions of jobs. Or hey, we could follow Jim Webb's lead & do nothing. Maybe there are big untapped economic opportunities I'm missing. Scuba diving expeditions through the underwater remains of Old Town Alexandria? 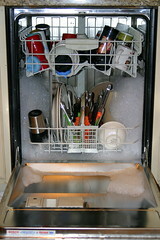 [R]emove baked on food and large chunks, but for the most part, everyone I spoke to said prerinsing dishes before putting them in the dishwasher was not only unnecessary, it wasted thousands of gallons of water and could actually result in dirtier dishes. “The soap needs something to work against to get the dishes clean,” said Lou Manganiello, who owns Household Appliance Service in Hawthorne, N.Y., and has been doing repairs for 23 years. “Most people use 10 to 15 times the amount of soap they need, and they’re pouring money down the drain,” Mr. Schmidt said. This Thanksgiving, be thankful that the greener cleanup options are ones that are faster, easier & save you money. A great step from Interior Secretary Ken Salazar to help speed wind power development off the coast of Virginia & other Atlantic Coast states! The Virginia Department of Environmental Quality has issued its annual recycling report (PDF). Virginia had a 38.6% recycling rate statewide in calendar year 2009, just barely higher than the year before. But as the Roanoke Times points out, it marked a milestone as every jurisdiction in Virginia met its minimum "required" goal of 15% (considering the DEQ has never fined a locality for failing to meet the minimum, it's not much of a requirement). Elsewhere locally, Fairfax City also ranked highly with a 49.9% recycling rate. Arlington came in at 40%, barely topping the state average. The Virginia General Assembly, aligning itself with waste haulers, has repeatedly blocked Arlington's efforts to toughen its recycling programs. Fairfax County was just behind with 39.4%, while Alexandria badly trails the state average at just 28.6%. Remember Edward Wegman, the George Mason University statistician whose climate denial was repeatedly cited by Virginia Attorney General Ken Cuccinelli? The one who was under investigation on charges of plagiarism & inaccuracy? "Actually fairly shocking," says Cornell physicist Paul Ginsparg by e-mail. "My own preliminary appraisal would be 'guilty as charged.'" "If I was a peer reviewer of this report and I was to observe the paragraphs they have taken, then I would be obligated to report them," says Garner of Virginia Tech, who heads a copying detection effort. "There are a lot of things in the report that rise to the level of inappropriate." "The plagiarism is fairly obvious when you compare things side-by-side," says Ohio State's Robert Coleman, who chairs OSU's misconduct committee. If Ken Cuccinelli was a man, he'd apologize. To Michael Mann, the respected climate scientist whose work Cuccinelli has quixotically targeted. To Virginia taxpayers, for wasting their money on a political witch hunt. And to his own supporters for feeding them a steady stream of complete horseshit. But Ken Cuccinelli doesn't have a shred of honor or dignity in his body. I expect him to continue to ignore reality & continue flaunting the truth. For all of Republicans' ranting against fraud & abuse, Ken Cuccinelli has no problem using your tax dollars to campaign for Sarah Palin's affection on the 2012 Crazy Train Ticket. 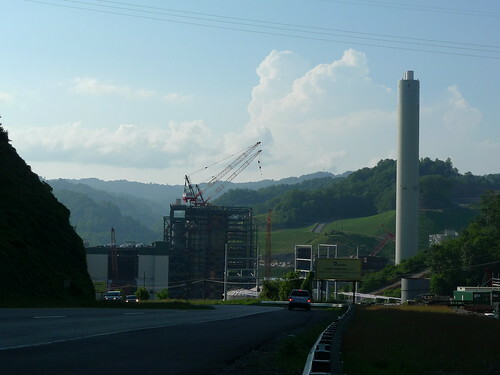 How Few Jobs Will Wise Co. Coal Plant Create? At the end of July, there were about 1,800 men and women employed in the construction of the 585-megawatt power station. The work force included about 600 people from the local area, accounting for 33.4 percent of total employment. The local area is defined as being within a 50-mile radius of the town of St. Paul, with Wise, Russell and Scott counties accounted for the majority of the local hires. Additionally, the staff that will operate the power station is being formed and trained. After Oct. 4 operations employment will stand at 34 with half of those hires coming from the local area. Well hey, that's only $106 million of our money per permanent job for local residents. What a bargain! Meanwhile, a Virginia State Corporation Commission analyst has testified (PDF) that, because the higher rates needed to pay for it, the plant will cost Virginia 1,474 jobs. Now, apologists for this terrible deal will say, "But The Green Miles! They need every job they can get in Wise County!" By that rationale, why bother actually building the plant? As the Chesapeake Climate Action Network has pointed out, we could pay 75 Wise County residents $100,000 per year and give the county $6 million a year for the next 133 years with the $1.8 billion it will take to build the plant. And in that scenario, we wouldn't have to deal with the 5.4 million tons of carbon dioxide, thousands of tons of other air pollutants & dozens of pounds of mercury the plant will release. All in all, a terrible deal for Virginia's economy & environment. Tony Hayward: What Should I Do? 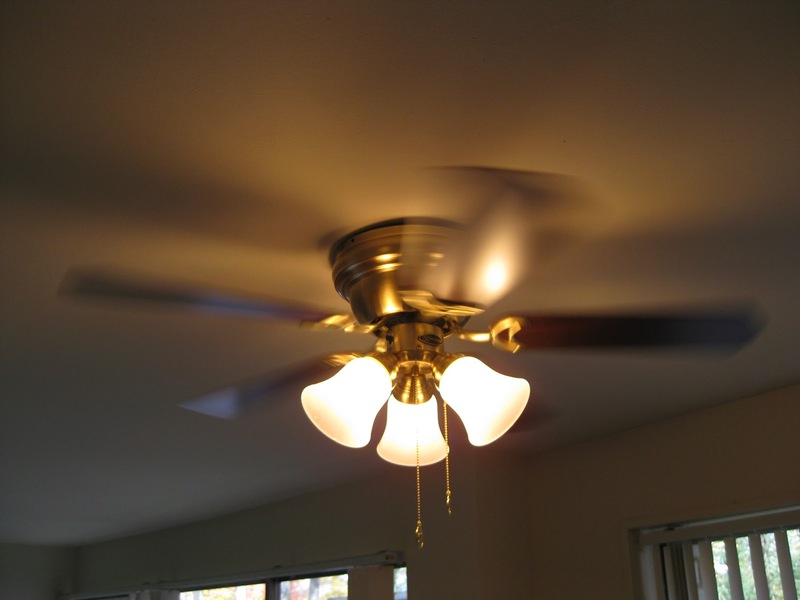 Energy Star is a joint project of the Department of Energy & Environmental Protection Agency. Yes, when weirdos warn you about creeping big government trying to run your life, this is the stuff they're taking about - Big Brother trying to save you a few bucks on your winter heating bill. Be afraid! Be very afraid! 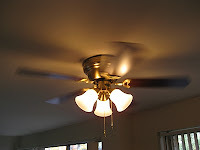 Or maybe just ignore the weirdos & take a second to double-check that you're getting the most out of your fan. Online vs. In-Person: Which Holiday Shopping Choice is Greener? According to a 2009 study by Carnegie Mellon University, getting it done online cuts your shopping carbon footprint by 35%. Great post from Andrew Freedman at Capital Weather Gang. Wish more people who devoted their lives to science were willing to stand up & call out political attacks on scientific fact. Simpson-Bowles Panel to Skip Low-Hanging Carbon Tax Fruit? We currently give polluters permission to dump as much carbon pollution into our atmosphere as they want, free of charge. So if the deficit reduction commission led by Alan Simpson & Erskine Bowles was serious about cutting the deficit, asks Matt Yglesias, why not slap a fee on carbon pollution? The mere fact that the conservative movement is currently engaged in a massive fit of pretending that greenhouse gas emissions aren’t a problem doesn’t change the fact that greenhouse gas emissions are, in fact, a problem. Taxing them would reduce the quantity of greenhouse gas emissions and help mitigate the problem. It also creates revenue. If Alan Simpson’s reason for thinking a tax on greenhouse gas emissions is a bad idea is that Simpson is a nutcase who doesn’t believe that greenhouse gas emissions contribute to climate change, then Erskine Bowles should have made him write that on a piece of paper. Then we could look at the proposal and know it’s co-written by a nutcase. It wouldn’t surprise me. There are a lot of nutcases in Washington life. But it’s important to know these things. Even a small tax on the carbon pollution of only the largest emitters like power plants & factories could bring in billions to reduce the deficit. And if the deficit was ever eliminated, you could refund the tax's revenues to all taxpayers equally. Doesn't that make more sense than slashing Social Security? Apparently, conservative Republicans & right-leaning Democrats agree it's more politically palatable to target the poor than to hold big polluters accountable. That's more than I pay in rent, srsly. Insulation folks, it's all abt the insulation. I realized David was limited to 140 characters here, but when I hear things like this, I worry conservationists have oversold the potential of insulation & energy efficiency. I'm guessing Jack Johnson has an obscenely gigantic house that you could cover in the world's biggest Snuggie & it would still require huge amounts of energy & cash each month to heat. In the last 40 years, we've seen major advances in insulation like double-paned windows. On top of that, appliances today don't need nearly as much juice as they did a generation ago. So why has per person residential energy use nearly doubled in the last 35 years? 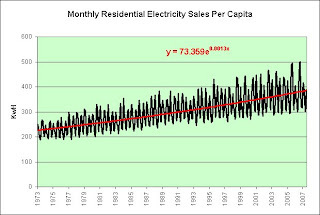 Don't get me wrong, efficiency & insulation are critical pieces of the bigger puzzle. But as long as our government policies continue to encourage larger homes, it's the equivalent of attacking the obesity epidemic by encouraging people to order a Diet Coke with their Super-Sized Extra Value Meal. The story also highlights the DC media's nonsensical coverage of the national jobs picture. In this & other instances, Republicans are proactively working to block President Obama & Democrats in Congress from creating jobs. Yet all you hear from pundits is that Obama isn't doing enough to create jobs. As I was walking out of the East Falls Church Metro station in Arlington tonight, I noticed three of the four cabs at the taxi stand were hybrids. If you just moved to Arlington, you might not think that was a big deal. But just three years ago, there were literally zero hybrid cabs in Arlington. Couldn't get one if you tried. Then the Arlington County Board approved a small fleet of EnviroCab hybrid taxis. Arlington residents liked being able to cut the carbon pollution of their cab ride for the same price, while drivers liked cutting their fuel costs by nearly half. Today, it's hard to find a taxi stand in Arlington without a hybrid waiting. And hybrids are clearly a marketing tool -- Red Top & Yellow Top hybrids have HYBRID TAXI written in huge letters on every side to make sure you don't pass them by for an EnviroCab. Amazing that such a relatively small nudge (85 cabs in a fleet of over 700) delivered such huge benefits -- more profits for drivers, more satisfied customers, cleaner air & reduced oil use. After all, we're always hearing from conservatives that the free market is perfect & that if there was any demand for something, the invisible hand would deliver it. Have the demands of the market completely flipped in just three years? In this case, the market was failing to meet demand until it got a nudge from regulation. Reality doesn't always fit with purist free market theory. The market is run by people, who may be resistant to change. Look at Virginia's smoking ban in bars & restaurants. In the "free market" world, a lot of people were unhappy & forced to accept the unwanted cost of dirty air. The smoking ban took years to pass over opposition from business & free market conservatives who screamed nanny state & predicted economic ruin. Then it took effect & you never heard another word about it -- a lot more people are happier & healthier at an extremely low (if any) cost. So when conservatives say we shouldn't provide nudges on things ranging from clean energy, efficient technologies because if they were worth doing the free market would already be doing them ... I have to wonder if their purist theory is supported by reality. And that's before you consider that new environmental regulations almost always cost less than predicted. 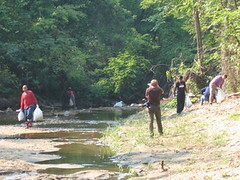 Anyone who's taken part in a stream or park cleanup with Arlingtonians for a Clean Environment knows what a pervasive problem plastic bags are. They get tangled up in the branches of bushes & trees or among the rocks & sticks in a stream bed and can stay there for months or years until someone comes to remove them, one by one. If the bag washes out to the Potomac River, it ends up in the open ocean, degrading into smaller & smaller pieces of plastic that work their way into the food chain. County Board members will again next year ask the General Assembly for permission to either ban single-use plastic bags at retail outlets, like supermarkets and convenience stores, or to be given the authority to tax them. You'd think Democrats & Republicans would be able to come together on giving communities a greater degree of home rule -- what does a Republican from Botetourt County care if Arlington wants to get rid of plastic bags? But this is less an issue of politics than it is of power. General Assembly members like being able to tell communities what they can & can't do. After all, why would they want to give up their ability to pass along unfunded mandates to communities? They can take credit for making something happen without having to take the blame of raising taxes to pay for it. Sounds like a win-win! For 140 politicians in Richmond, anyway. Remember That Whole Global Warming Thing? Despite the best efforts of our elected officials to move on to more easily-demagogued issues, as The Onion reports, apparently global warming is still a problem. [F]ar from being conservative, the Republican stance on global warming shows a stunning appetite for risk. When faced with uncertainty and the possibility of costly outcomes, smart businessmen buy insurance, reduce their downside exposure and protect their assets. When confronted with a disease outbreak of unknown proportions, front-line public health workers get busy producing vaccines, pre-positioning supplies and tracking pathogens. And when military planners assess an enemy, they get ready for a worst-case encounter. The investment needed to slow carbon pollution might total from 1 to 2 percent of global GDP each year for several decades, according to a 2006 study by the British government. This spending would pay for advanced technology, better land use and modern infrastructure. The same study put the cost of inaction - including economic harm from property damage and lost crops - at 5 to 20 percent of global GDP, lasting in perpetuity, with the risk of vastly higher catastrophic damage. You tell me which option is more fiscally responsible. Rest in peace, "clean" coal. Such a tragic death -- killed by the people who claimed to love it. With "clean" coal's best interests at heart, they blocked the only thing that could've kept it alive: A comprehensive climate & energy bill. "Clean" coal's death came late Tuesday night when the usual midterm party pendulum swing pushed a group of Tea Party Republicans into power & installed several new self-proclaimed fiscal conservatives in the Senate. They're talking about cutting the budget -- a death knell for the absolutely enormous sums of money "clean" coal needs to escape from Imaginationland. The American Clean Energy & Security (ACES) Act that passed the House had an estimated $177 billion dollars for carbon capture & storage (CCS) research & development and implementation, negotiated in large part by ... Rep. Rick Boucher (D-VA), who was defeated last week. The moment for a big climate & energy bill - when George Voinovich would go along with it because it had "clean" coal subsidies & Bernie Sanders would go along because it had a carbon cap - is gone. President Obama has pledged to keep pursuing energy goals in smaller pieces. Energy efficiency, nuclear loan guarantees, natural gas and even a renewable energy standard all stand a chance by being able to claim (rightly or wrongly) that they won't add to the deficit. But CCS needs tens of billlions of dollars in research & development -- plus tens of billions more to subsidize its high cost. If "clean" coal has to stand alone, it faces a much steeper hill to climb to get even a fraction of the support it could've gotten under a climate bill. What's the biggest sign "clean" coal's moment has passed? Big Coal's allies are panicking. Look at newly-elected Sen. Joe Manchin (D-WV). He hasn't even been sworn in yet and he's reportedly threatening to switch parties unless Democrats will seat him on the Energy & Natural Resources Committee (where he'd be able to most directly shill for coal) and support a pet project to convert coal to diesel fuel. Note that the threat isn't just that coal won't be "clean" - it's that without comprehensive legislation that carves out a place for coal, the industry may not survive at all. Dorgan told Politico, "The reason I have reached out to the coal industry is that they’ve been on the defensive position, not negotiating with anyone, and they’re going to lose under that. With or without carbon regulations, there will be a substantial conversion to natural gas, and coal will lose." Sure enough, while Big Coal was pouring millions of dollars into obstructing a comprehensive climate & energy bill, the price of natural gas was dropping. As Fortune.com's Shelley DuBois asked after the Senate bill died, "if natural gas is accessible, cheap, clean, and getting cleaner, should the government keep spending billions on clean coal?" Great question -- but one the coal industry didn't consider until after "clean" coal had gasped its dying breath. Scott is eliminating the cardboard tubes in its Naturals line of toilet paper. Why might this be the start of something big? I was going to write it up, but Under One Roof beat me to it & did a great job, so check out their post. Police first received word of Partridge's criminal act from one of his neighbors, Miles Grant, who discovered Partridge's grisly handiwork on a routine trip to the neighborhood compost bin. "It was the most terrible thing I ever saw," says Grant. "I'm taking my petunias to the compost bin and I see something sort of reflective poking out of the leaves. I brush the area off and then blam, I see 'em. Bags and bags of bloody body parts. I mean, did he really think people wouldn't notice that there were plastic bags in the compost bin?" UNACCEPTABLE. Besides, as everyone knows, only plant matter goes in the compost bin. Can't have raccoons dragging your victim's leg across the street. I mean, that's just green psychopathy 101. When you work for a conservation group, the most common icebreaker at meetings is, "If you were an animal, which one would you be?" On cold, rainy days like today, I have to go with gorilla. Why? I hate schlepping through the cold rain & sitting at my desk all day with wet pant cuffs & wet shoes. Ever see a gorilla in the rain? God, do they look miserable. Gorillas have a combination of the ability to physically express their emotion & no concern about suppressing it. That leads to photos like this, in which the gorilla looks like he's plotting murder. And gorillas live in the RAIN FOREST. Not ideal planning. Will the New Safeway Steal My Business from Harris Teeter? The Green Miles just returned from Virginia's 5th Congressional district, where Rep. Tom Perriello wasn't able to swim against the GOP tide. But our efforts did help make it closer than anyone expected, with Tom losing by just 3 points. In the words of Tom's consolation email to supporters, "I can see last night as a victory for conviction and hard work for the idea that when you fight for the people, the people win." Upon returning home, the first thing I had to do was ... buy the new NBA Jam for Wii since I spent hundreds of quarters on that game as a kid & needed something to take my mind off politics. But the SECOND thing I had to do was go grocery shopping since I hadn't done that in about a month. Very disappointing that Safeway's small checkout lanes made reusable bags awkward to use. What's the point of remodeling if you're not accommodating modern needs? Several items listed as on sale in the aisle didn't ring up at the correct price. Not an environmental thing, I know. But I treat saving money at the grocery store as a competition. The bottom line: I'll hit Safeway for quick needs, but will stick with Harris Teeter for my main grocery shopping trips. Oh, and the third thing I did? Sleep for 11 hours. UPDATE 3/12/2011: Over at GreaterGreaterWashington.org, Steve Offutt points out the Safeway sidewalk's shortcomings. I did not wake up this morning planning to write a post about Robert Hurt's support for risky uranium mining here in Virginia that would profits in the hands of a few while putting all Virginians at risk. But Robert Hurt wants to talk about his support for risky uranium mining, so let's talk about it. The ads, produced and paid for by the Sierra Club and the League of Conservation Voters, say Hurt’s father “has a financial interest in uranium mining” and has received campaign contributions from the uranium mining industry. Well, I can't think of any better group to determine if a Virginia state senator has a conflict of interest than a panel of Virginia state senators, can you? Politicians would never protect other politicians ... right? You'd think if there's anything Robert Hurt wouldn't want to talk about the day before the most important election of his life, it's his support for uranium mining. Why? I've been here in Virginia's 5th Congressional district for most of the last week & voters know uranium mining in Virginia is about socializing risks & privatizing profits. Uranium mining has never been done east of the Mississippi & could pose risks to Virginia's drinking water supply. Hurt's position favors a handful of wealthy donors at the expense of 5th district voters. That's what he wants to focus on? Tom Perriello, on the other hand, supports objective analysis of the risks & rewards and doing what's best for Virginians as a whole. Politifact Virginia called the ad in question barely true, but that's not even the standard Hurt's lawsuit needs to achieve. Hurt needs to prove the ad is completely false AND that the conservation groups & TV stations KNEW it was false and aired it anyway. Extremely strange that Hurt would put so much at risk by spotlighting this issue when it looks like he has such a steep hill to climb. I'm sure Tom Perriello's campaign is thrilled to have yet another opportunity to talk about Robert Hurt's connections to special interests. UPDATE 2:35pm: Over $600 in contributions from 14 individuals - thanks for your support! I was in Rep. Tom Perriello's Danville campaign office last night when his regional field director said that while he was thrilled with the unexpectedly huge flood of volunteers the campaign is seeing, he'd love to have more cars & vans to get them from the office to voters in far-flung areas. Well, I said ... I know some blue Virginians who might be able to chip in to help out. While not all of us can get to the 5th Congressional district, this is a great chance to support Tom's volunteers. Can you spare $25 or more to help Tom's volunteers be supplied with the resources they need to get out the vote? I'm working out of Rep. Tom Perriello's Danville office through the election on behalf of the National Wildlife Federation Action Fund, which has endorsed Tom. I can't overstate how much energy there is for Tom here in Danville. Tom's office has been flooded with so many volunteers, they've expanded into additional office space across Main Street -- phone banks on the south side of the street, canvasses launching on the north side. In just the short drive to my canvass location tonight, I passed two other Perriello volunteers. Yard signs density in some neighborhoods is greater than I've ever seen for any candidate. Most importantly, voters who came out to cast ballots for Obama/Warner/Perriello in '08 are closely engaged in this race. In my talks with voters last week, I had to do very little persuasion -- voters were already committed to coming out for Tom. Swing voters told me they'd been turned off by Hurt's inactivity. "Hurt's been in Richmond for 10 years -- what's he done?" one asked me. "Why won't Hurt defend himself? Why's he dodging all these debates?" another wondered, noting that Hurt turned his nose up at a recent public forum to instead hobnob with donors & Gov. McDonnell. 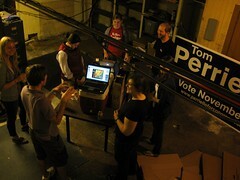 Last week, even a tornado warning didn't slow down a late evening phone bank -- as seen here, the crew in Tom's Danville campaign office just brought laptops & cell phones to the basement, being sure to call only homes outside the warning zone. Meanwhile, I've yet to see any evidence of an active Hurt campaign. I just asked a volunteer if Hurt had a Danville office. She said, "It's on Piney Forest Road" -- the same road I'd just driven on my canvass. Turns out I've already driven past Hurt's office at least four times over the last week & have never even noticed it. Losses in tomorrow's election are inevitable. The Democratic tide in 2008 washed some candidates into office in districts that just aren't hospitable to progressives in the long run. But Rep. Tom Perriello has the right combination of values, integrity & work ethic to last. And Robert Hurt? Do we really need more blow-dried, unresponsive, valueless, daddy's-little-rich-boys in Washington? This race is our chance to take a stand -- whoever else goes down, we're all in for Tom. If you can spare $25 or more, don't put this off until later -- the polls open in less than 24 hours and there's no time to waste. Please show your support Tom right now. Thanks in advance!